Bill Nighy is a highly-acclaimed actor of English origin. Back in 1991, he became well known to TV audiences for his role as Professor Mark Carleton in the BBC miniseries The Men’s Room. The talented actor has since amassed several other notable acting credits both on the big screen and the small screen. Nighy portrayed the villainous character Davy Jones in the highly successful Pirates of the Caribbean film series. He is also known for his portrayal of the character Viktor in the action horror film series Underworld. The talented actor has earned several accolades in the course of his career including one BAFTA Award and one Golden Globe Award. Bill Nighy was born William Francis Nighy on December 12, 1949, in Caterham, a town in the Tandridge District of Surrey, England. His mother Catherine Josephine (née Whittaker) had Irish ancestry while his father Alfred Martin Nighy was of English descent. He grew up alongside an older brother Martin and an older sister Anna all of who were raised in the Roman Catholic faith. While attending the John Fisher School, an all-boys Catholic school, Nighy was a member of the school’s theatre group. He later trained at the Guildford School of Acting after completing his O-levels. Since marking his screen debut on the BBC series Softly, Softly: Taskforce (1976), Bill Nighy has featured in a countless number of TV productions particularly on the BBC. Some of his notable television credits include The Men’s Room (1991), State of Play (2003), The Girl in the Café (2005), Gideon’s Daughter (2006), Page Eight (2011), Turks & Caicos (2014), Salting the Battlefield (2014) and Ordeal by Innocence (2018). In the world of movies, Nighy is best known for his portrayal of the character Davy Jones in the blockbuster movie Pirates of the Caribbean: Dead Man’s Chest (2006) and its sequel Pirates of the Caribbean: At World’s End (2007). Other notable film credits of this iconic actor include Still Crazy (1998), Love Actually (2003), Valkyrie (2008), Wild Target (2010), The Best Exotic Marigold Hotel (2011), Wrath of the Titans (2012) and Dad’s Army (2016). Nighy’s brilliant work as a film and television actor has earned him much critical acclaim over the years. His performance in the hit comedy film Love Actually (2003) fetched him numerous awards including the 2003 BAFTA Award for Best Actor in a Supporting Role. He equally won the 2004 British Academy Television Award for Best Actor for his role in the short-lived drama series State of Play. The talented actor received his first nomination for the Golden Globe Best Actor Award in 2005 for his lead role in the BBC telefilm The Girl in the Café (2005). Though he didn’t win it the first time, he eventually won the award in 2006 for his work in another telefilm Gideon’s Daughter. Nighy received a third Golden Globe nomination for portraying the lead character in the BBC thriller film Page Eight (2011). Bill Nighy’s role in the Pirates of the Caribbean film series earned him 2 consecutive Teen Choice Awards for Choice Movie Villain (2005 & 2006). He was also nominated in 2006 for the MTV Movie Award for Best Villain and the Saturn Award for Best Supporting Actor for the same role. 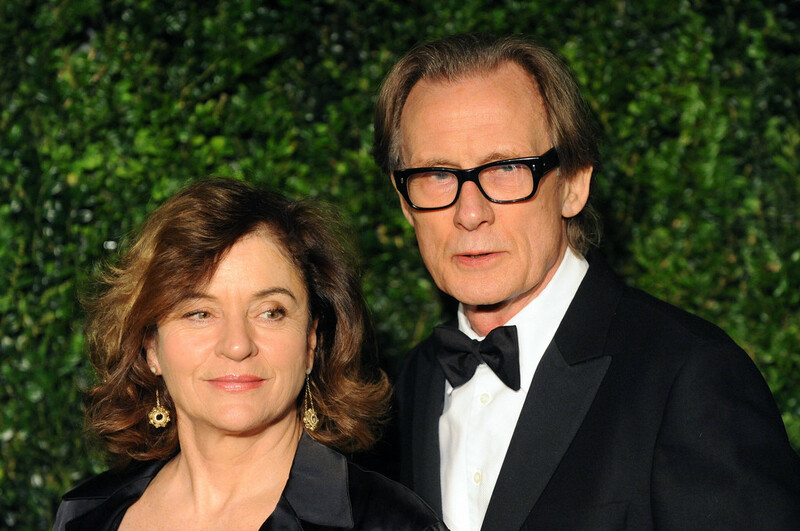 Bill Nighy has never been married in the past. However, he had a long-term romantic involvement with English actress Diana Quick. The duo got together in 1981 after co-starring in a play at the Royal National Theatre, London. Their relationship lasted for 27 years during which they had one child together. They parted ways amicably in the year 2008. His daughter Mary Nighy was born on July 17, 1984, and quite similar to her father, she is an actress and filmmaker. The actor is an avid soccer lover and he is a supporter of Crystal Palace Football Club. He is also a patron of several charity organizations including the Crystal Palace Children’s Charity, the Ann Craft Trust as well as the London-based children’s charity “Scene & Heard”. Bill Nighy has a towering height of 6 feet 2 inches (188 cm) at a body weight of 67kg (148 lb). Interestingly, his gangly physique is one of his most distinctive features. The movie star is known to have Dupuytren’s contracture, a hereditary condition which results in the contracture of the fingers, usually the ring, the little and the middle fingers.